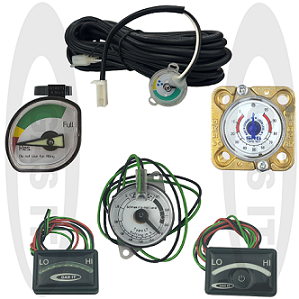 Gas Level Indicators & Switches - GAS IT Leisure Gas Bottles, Gas Cylincers and Gas Tanks - Catering, Motorhome, Campervan, Caravan, Farrier and Road Repair Refillable Gas Solutions. Replacement Level Gauge for GAS IT, Gaslow, Alugas Bottles. We are waiting for this item to at our warehouse. We currently estimate this item to be back in stock during the week of 05 Oct 2017. Delivery of this item would be after this date. We are waiting for this item to at our warehouse. We currently estimate this item to be back in stock during the week of 09 Jul 2017. Delivery of this item would be after this date. 4 wire 9 LED Display with Switched On/Off Display & Switched Output Wire.